WASHINGTON: The US on Thursday urged Pakistan and Afghanistan to work together and increase their cooperation to counter violent extremism, a day after militant attack killed over dozen people including students at university in Kabul. 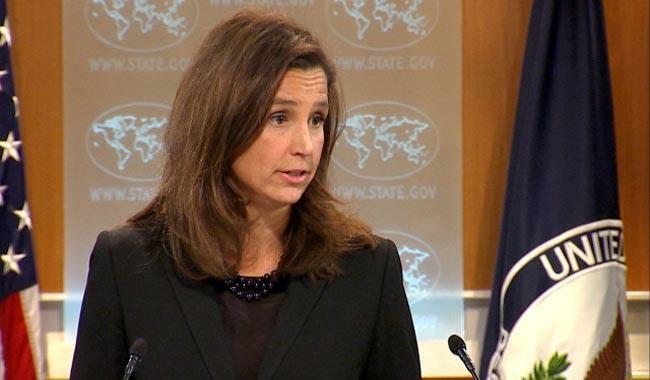 Elizabeth Trudeau , Director Press Office at the State Department, declined to confirm the allegations by Afghanistan that Islamabad was behind the attack. “We have consistently raised our concerns to the highest level of the government of Pakistan on the need to deny safe haven to extremists. We have pressed the government of Pakistan to follow up on their expressed commitment, their stated commitment, to not discriminate among terror groups regardless of their agenda or affiliation,” she said. When asked whether Pakistan was taking enough steps against terrorists, she drew attention to statement of Pakistan Army Chief General Raheel Sharif, in which he vowed not to discriminate among terrorist groups. Thirteen people, including students and a professor, were killed in an attack on the American University in Kabul that had students leaping from the windows in panic, the Afghan government said on Thursday.